When I watch Korean dramas, I usually wait for the drama to be finished before I watch it. I prefer to do drama marathons where I sit in front of a computer all night until the wee hours of the morning to finish one drama. It’s a hard habit to break. There are only a handful drama where I wait for the subtitles each week whilst refreshing my computer to make sure the files are already up! And this drama is one of those. Too bad it ended. But if you haven’t watched it yet I really recommend Queen In Hyun’s Man. Our hero is Kim Boong Do is a scholar from the Joseon Dynasty who supports Queen Inhyun. Our heroine is Kim Hee Jin, an up and coming actress who has just been casted for a role of Queen In Hyun for a TV drama. Boong Do has a talisman given by one of his servants. At the brink of his death, the talisman saves him and transports him to the present 21st century where he meets Hee Jin. Hee Jin becomes his tour guide in modern day Seoul. Thus begins a romantic story for our time traveler and our heroine. I’ve known about him from the Nuts as a guitarist. But I absolutely loved him in this drama, or maybe his character in this drama as Kim Boong Do the scholar. 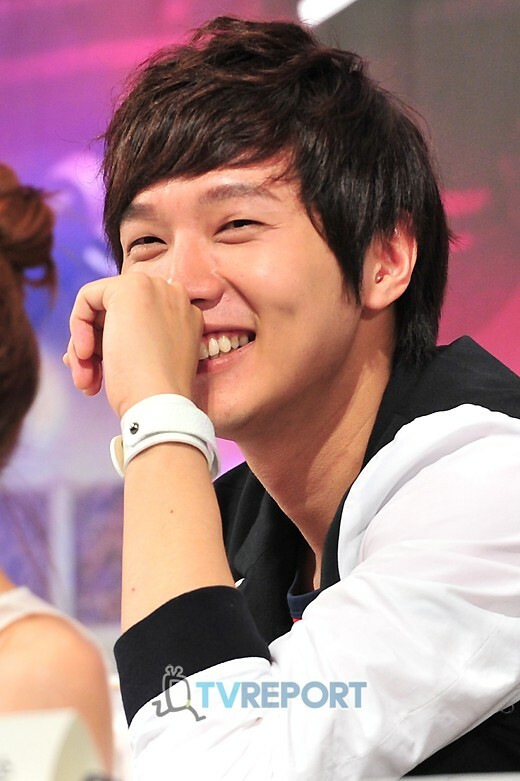 I think he perfected that certain smile when he sees Hee Jin. She plays Hee Jin. Apparently, this is her first time to be the leading lady, and I have to say she did good with it. I am especially impressed with the way she does all those sad scenes like when she had to cry from all the pain in the hospital! You go girl! This drama was made by TVN. Though it’s a cable channel in Korea, this channel makes really good dramas. Who could forget Joseon X Files, or Flower Boy Ramyun Shop? This is another daebak hit from them. But this drama is about men-boong, a Korean slang that means it surprises you a whole lot! And it did. It’s one of the best things about the drama, you never know what will happen because of all those surprises! Definitely very very good! The actors have a very good chemistry on camera. It was like seeing two real love birds! It was so sweet watching both of them have a date or doing their scenes together. Both were well played! And Soo Kyung is a best friend a lot of girls would want. She maybe nagging you too much but she’s a friend who’s there to protect you at all cost! Also, the action scenes in this drama were noteworthy! Omona! I felt my heart stop in some of those scenes! And it’s not even because of Boong Do but because of the action! Bring it on! Over all, if you are looking to watch one of them time travel themed dramas, I think this is your best bet! Just started watching this. Only on episode 3, but I like it so far!! you should definitely watch it to the end! it’s a very nice one! Good to know. I am watching Big at the same time and it is kind of making Queen Inhyun a little less interesting for me now because I’m like waiting on pins and needles for the next episode of Big to be subbed in English, but I’m going to keep watching it and see if I get more hooked. big is interesting too especially since it’s a hong sisters drama (they are a favorite of mine). at first i wasn’t quite keen on Queen Inhyun but the more the drama progressed the more surprises they gave the audience! That’s what I’ve heard, so I’m going to stick with it for a little while longer.